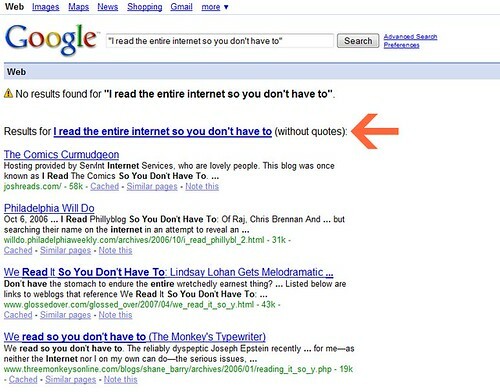 I read the entire internet so you don't have to., originally uploaded by -SPK. My new blog tag line. This screen shot is basically like a patent search and NO ONE HAS IT! Ahahahahahaaaaaa, now it's reserved for me!